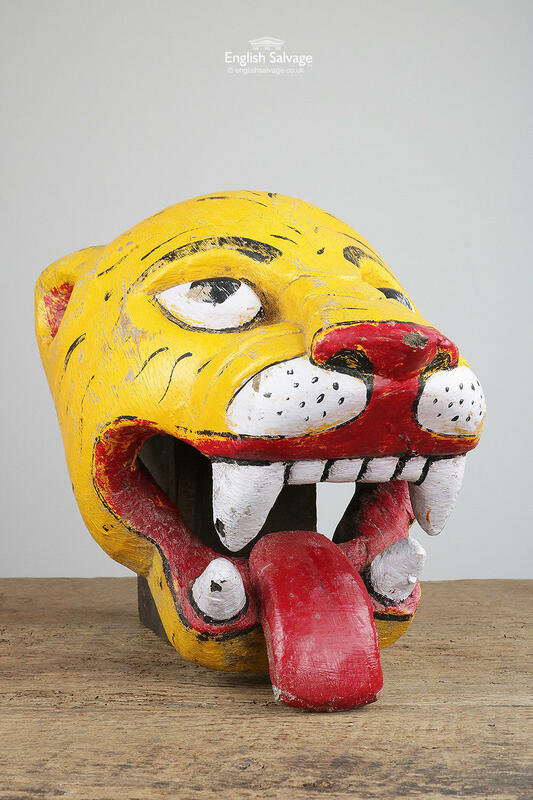 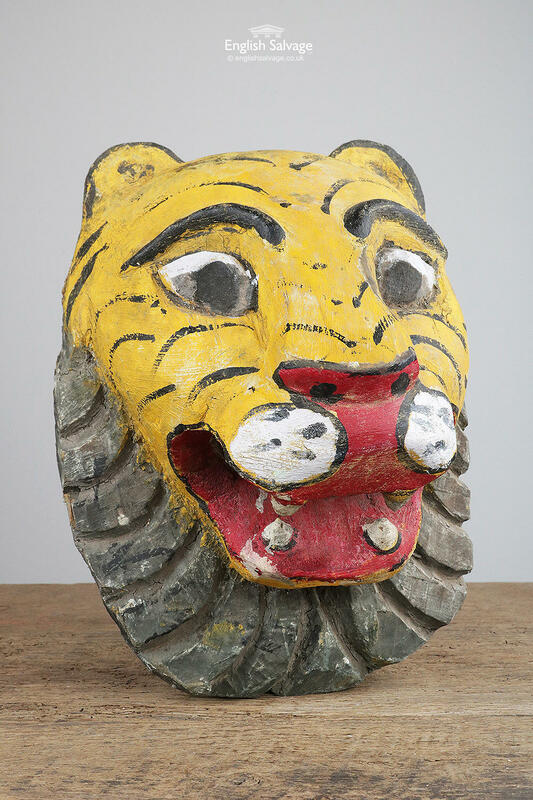 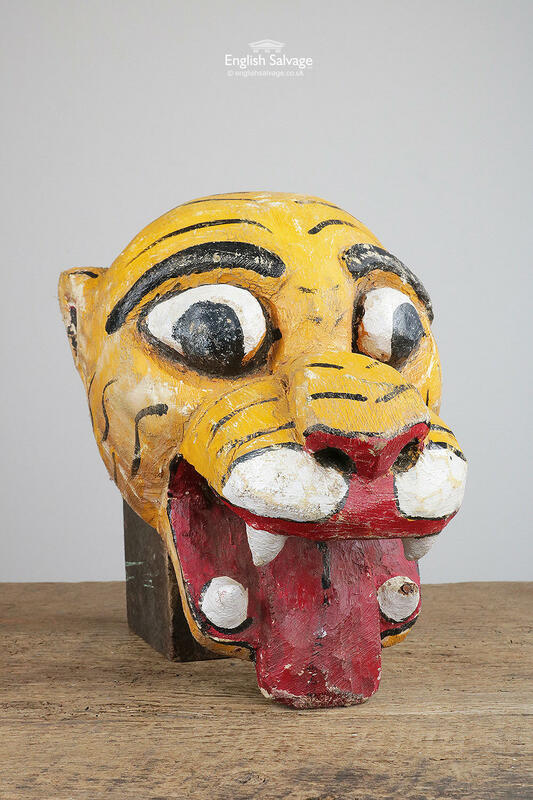 Colourful wooden hand painted tiger masks reclaimed from India. 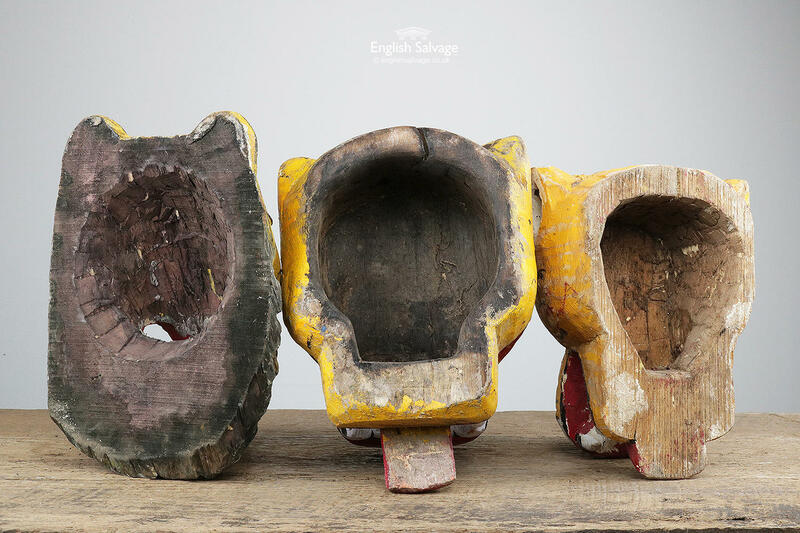 Mask A is 21cm wide x 27cm high x 16cm deep, Mask B is 21cm wide x 32cm high x 23cm deep and Mask C is 22.5cm wide x 32cm high x 16cm deep. 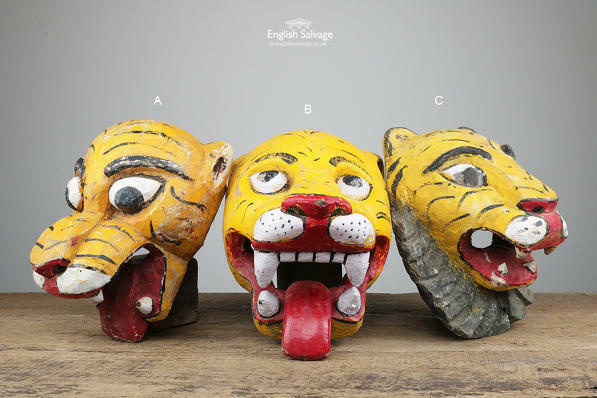 All have some chips to the paintwork but appear sound.